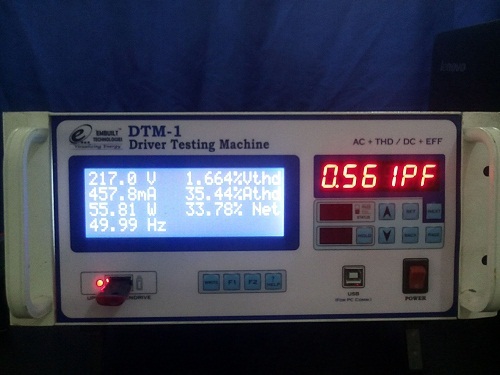 We have taken a laptop adater for testing using DTM-1. We have connected a laptop as load. This page shows AC- Voltage, Current, Watt and current THD % in first column. Second column shows DC Voltage, Current, Watt and Efficiency. 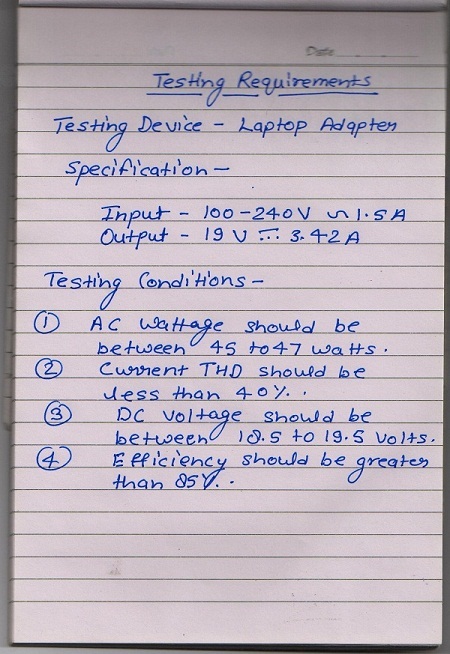 We have see here that efficiency of this laptop adapter is 90.77% whereas Current THD is 35.27%. 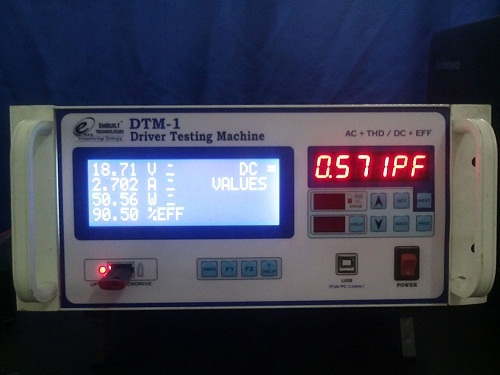 This page shows AC parameters. On first column it shows voltage, current, watt and frequency. Second column shows Vthd%, Athd% and NET THD. This page shows DC Voltage, Current, Watt and Efficiency. below file contains production data for laptop adapter saved in the pendrive. 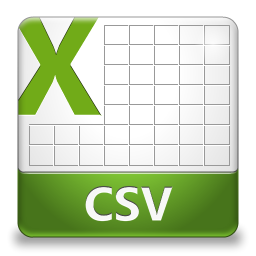 We have also done data logging in pendrive to see variation with time. 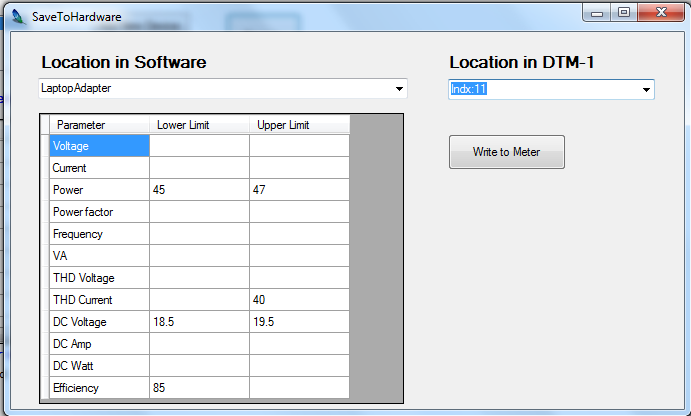 below is the datalogging file with 1 minute datalogging period.